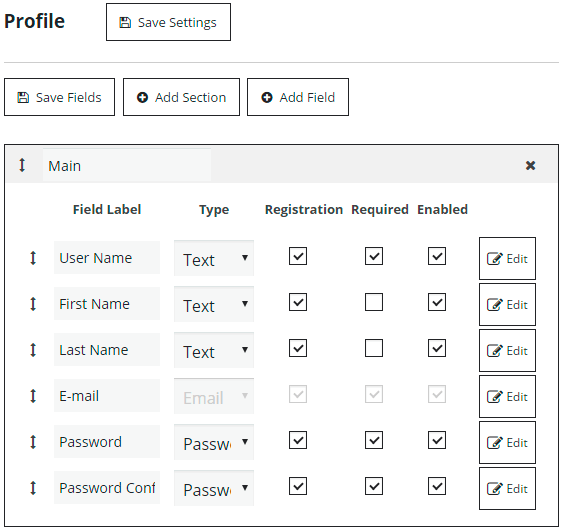 On Registration Fields tab you can create and customize About information of user profile. Besides here you can specify what fields will be used for Registration proccess and which of them will be required. Let’s check all opportunities of this tab. 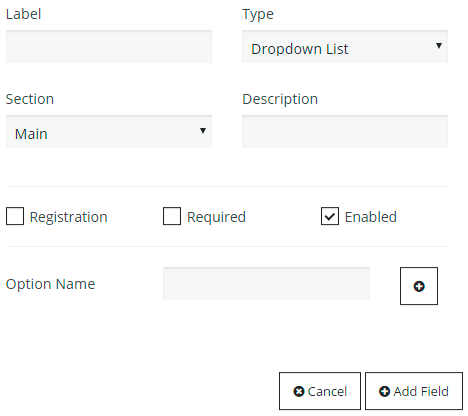 After creation new sections with fields Membership plugin allows you to change the order of sections and the order of fields in section. Simply using drag&drop icons.